From the Canale di Cannaregio, the Fondamenta di San Giobbe continues to the Macelli Pubblici, or ‘slaughterhouse’, a site for which Le Corbusier designed a hospital in 1964. Corbu's Brutalist concrete monstrosity, his last big project, was to have been built out over the water on pilotis. It would have been a calamity for Venice (and not much fun for patients and staff either; despite the spectacular waterfront site, the architect allowed almost no windows). Fortunately, the design was rejected by an architectural review board and never built—they say even Le Corbusier had to agree they were right. 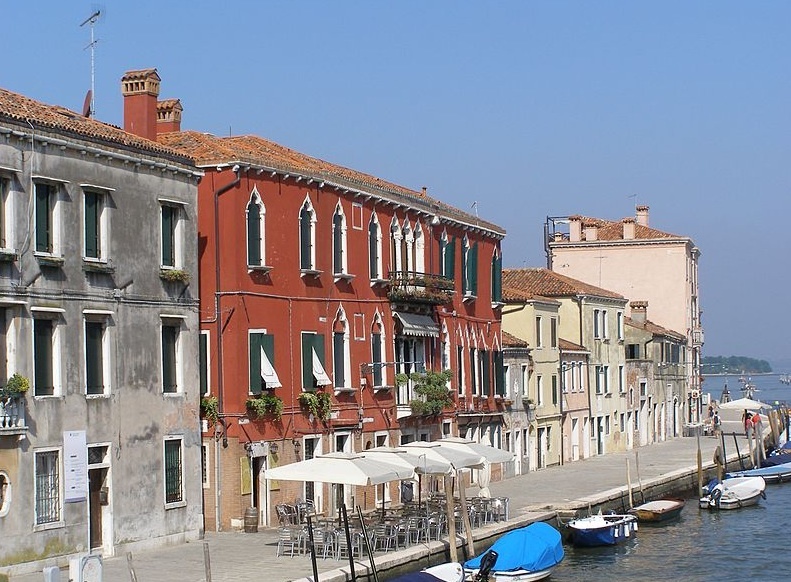 Today, however, the site has found a new role as the Ca' Foscari University of Venice San Giobbe Campus. Across the canal from the slaughterhouse is the locked-up Ricovero Penitenti, a convent where Venice’s prostitutes once came for a five-year reform course, far from the bright lights of the Ponte delle Tette, Venice’s red light district in the 16th century. Also see nearby: San Giobbe, Fondamenta Savorgnan.